I was a little hesitant in coming to Sowrya but finally after deciding to come here, I feel very much satisfied. As far as overseas education is concerned, a lot of people gave me no hope of getting into a good school in UK but Sowrya gave me complete confidence and was helpful at every stage of my admission process. I would especially like to thank Sowrya. Sowrya has provided me the most friendly and favorable environment for my GRE and Ielts preparation. Faculty was par excellence provided many tricks and also there for the students. Flexible timings for mock test and there is a lot of emphasis on individual students. Thanks sowrya to they have helped me to get my Australian Student Visa successfully. I was really worried about the current conditions of the visa but had strong willing in studying overseas. With the help of sowrya and the proper guidance now I have my visa before the course starts. studies to sowrya consultancy. I once again thank Sowrya. The sowrya services are well organised. The sowrya staff make sure that the students don't have to face any obstacles. I received my visa & I would like to thank the entire team of the sowrya. Feeling happy.I got my visa through sowrya consultancy.I personally loved their services.They guided me in a best way. When I started the initial planning for overseas education, it seemed a bit doubtful task because of the whole confusion I had about the process. But I am glad that I decided to join Sowrya. Through their cooperation and guidance, the entire admission process turned out to be a cake walk. I highly appreciate the immense dedication shown by the staff and people of Sowrya. I look forward to taking help from them again in future. Thank you SOWRYA. I am very thankful to the entire team of Sowrya who have helped me to choose my course and desired country. I always wanted to go abroad for my higher education and my dream has come true with the help of the members of Sowrya. Special thanks to my Sowrya counselor who has been very cooperative and polite. I got my visa for Australia. This is one of the best consultancy I can say, they guided me choosing the right university and helped me to get my visa. I am always in debited to the whole Australian team and management. If you want your student visa this is the place. Thank you Sowrya Consultancy. Hi, this is ajay I have joined sowrya consultancy for GRE and here the faculty are highly experienced and are very skillful which is helpful for us to improve our skills as well.I have got GRE score of 304 and this academy is really helpful for me. My suggestion is to join in sowrya consultancy if you want to take GRE/ IELTS. 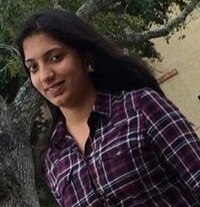 Hii, I am sandhya rani. I got my visa approved. I am extremely happy to say something about Sowrya Consultancy. I have joined in Sowrya Consultancy for my entire application process for Masters. Wherever ,I got struck with my application process they helped me all the time.So, I am very thankful to the Sowrya team for assisting me in my application process till VISA Thank you Sowrya Consultancy. The counselling provided here gave me a clarity about the courses for higher studies. And the faculties are really excellent. They gave us a good coaching on gre and ielts . the team showed clear route to my visa process. And I got a visa for Australia. Sowrya given good guidance, like how the visa process is going on, and guide me at every step of processing visa, counsellors are put good effort on me. Finally I got visa in USA. I feel happy and thanks to sowrya counsellors. All the credit for my visa goes to sowrya. The entire team did excellent job to make it success. Especially when i asked for changes in my file before one day applying visa, my case officer did excellent job to do the changes and completed. That is really great. Thanks for your all hard work. I am really impressed with your service..
Sowrya Consultancy helped me a lot to get my visa. This is one of the best consultancy. Highly Recommended!!! Best services ever. I am appreciated for the first counselling sessions. Finally, I got my visa. I am very thankful to be a part of sowrya. Can go Consultants have always helped me ever since I wanted to move to Canada for my college. The entire process from getting an admission to visa. They are the best team and are very clear about what they have been doing. They even helped me the second time when I wanted to apply to a different school in no time. Ms. Deepthi and her team is the best at this and create a personal bond between everyone and put in the time and effort to make sure that every client is happy until they arrive Canada and beyond that too! If anybody wants a hassle-free process without any problems to study in Canada, Sowrya Consultants is the best place you could go to. 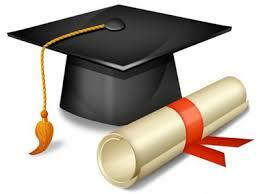 Sowrya consultants provide an in depth and accurate information about the universities. It helped me to narrow down the list of universities and was a big help in managing the deadlines. I highly recommend sowrya Consultancy. It was my dream to do my higher studies abroad. I heard about Sowrya consultancy through a friend. I got a very immediate and a good response from them and very satisfying guidance in the process of pursuing my higher studies. I'm glad to have registered here and have referred to few of my colleagues as well. After going to numerous consultancies, I finally found an organization that actually operates like a consultancy and not an agency. The quality of their staff, infrastructure and overall environment is amazing. My profile was carefully looked at and the best options of universities were drawn out for me. Thank you so much to the sowrya consultancy. I got my visa through sowrya consultancy. GRE classes are very good and faculty was very supportive. My visa is approved through sowrya consultancy. Very very helpful ! Takes personal interest and care at each and every step of the process. Very good educational outsourcing services.Thanks to sowrya. Feeling happy. My visa is approved. I am honestly so happy with sowrya consultancy. The staff was amazing and so helpful in every way. I want to say one thing that sowrya is a right way to make Career. Sowrya has given me all the information about my query?s till my whole process. I am totally satisfied with the services of sowrya team. Finally I have received my visa, thanks a lot to sowrya for helping me at every step whenever i wanted in all the fields. It was a great experience to get counselling from such a prestigious organization. Staff of sowrya is very calm and helping, special thanks to sowrya who encouraged me and guided me in a right way. According to me this is a very good consultancy where you have very professional & friendly staff. They helped me in each and every requirement. Because of them only now I am in Germany & studying in my dream University. I approached Sowrya Consultancy after completing my graduation, their guidance was superb they made it look so easy and I am very happy with counseling given by them. Special Thanks. Best services ever. Appreciated the first counselling sessions, which was also free. I want to thank everyone at the Sowrya Consultancy for complete assistance. I had a wonderful experience with Sowrya. The guidance, support given by them throughout the journey was incredible! Thank you Team of SOWRYA for helping me realizes my dreams! Had a great experience with the entire team of SOWRYA. Extremely knowledgeable and helpful team sowrya team are a blessing for whoever wants to take the next step in their education. Step by step guidance throughout the application and excellent support/advise to obtain the VISA. Thanks team SOWRYA. I have had a very good experience with Sowrya Consultancy. Sowrya team helped in every step right from choosing right universities for my course of interest to nailing the Visa interview. I would surely recommend to approach them for a smoother admission process. Good University selection facility. Have a great experience with Sowrya Consultancy team. Very Helpful. Recommend to all. I am much satisfied with the services I received. Thank you each and every one at Sowrya Consultancy. I got USA visa today i am very happy and sowrya consultancy provided me very excellent guidance....i appreciate for that...once again thanks to sowrya. Very fast process. It’s a good consultancy. They will clear all our doubts and they will explain about our courses which are required for our higher education in abroad. It's a new experience dealing with these guys. They explains us clearly about the process of going for abroad and continue our studies there. Thanks a lot for ur support and help sowrya consultancy. Professional of the Sowrya Consultancy Team was instrumental in getting my visa process successfully. Iam very grateful to the Sowrya Consultancy Team. Sowrya consultancy is a good very kind and helpful. Right from application to document preparation to the scary visa process. A big thank to all. I must say that all of you have been very kind and helpful. Right from application to document preparation to the scary visa process. A big thank to all Sowrya Consultancy Team. Sowrya is an excellent consultancy with best staff. They guided me very well to get my visa. Thanks to sowrya. Sowrya consultancy helped me alot to sort out abt universities for masters in Germany. Even my consultant Spandana is quite friendly she helped me a lot for my visa interview by practice sessions. I am satisfied with the staff and work at Sowrya. Feeling excited to receive my visa with the help of Sowrya Consultancy. Thanks for your great support. Very nice at counseling. It helped me for choosing right path and reach me to success. Good consultancy because they guided each and every step for visa process. Finally, I got my visa. Sowrya Consultancy helped me in choosing universities which suits my profile. Helped me in preparing for visa interview and they gave me good support in every aspects. And finally I got visa and I am very happy for all the process which they guided me. An Awesome Experience with Sowrya Consultancy. Worth Consulting for it. Heart full Thanks to my counselor, she guided me all the way right from beginning to end of visa process. Finally I got visa to "GERMANY". Thank you Sowrya Consultancy. 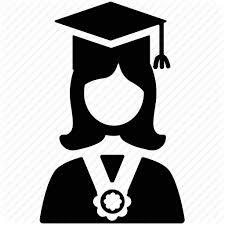 It’s been pleasure taking counseling in sowrya consultancy ...spl i want to thank my counselor who has been so supportive and helpful all the time..She got good knowledge about the colleges and there requirements, she suggested me 6 colleges and i got admits.Thnq so much mam and I will never forget sowrya for this. Excellent Guidance, Especially My Counselor was very good in guiding me. I got good college (ROSTOCK UNIVERSITY) with help of Sowrya Consultancy. My Visa is also approved to GERMANY. Thank You SOWRYA. My experience with sowrya consultancy is very good as they have given me very good assistance from intial process till the interview. Also they have given counseling for the visa interview tips and it helps me a lot to face the interview. Thank you so much Sowrya Consultancy for guiding me in a positive way to get Visa. Having good experience in Nz process. Since form stating stage to till to get visa I had a good guidance for your side. If anyone really wants to go New Zealand please visit SOWRYA. Very good staff and very supportive, they take measures to optimize the whole application and visa process. Taking care of all the documentation as well as sound advice regarding all the process and excellent coaching for IELTS which helped me score a very good 7 overall. this in turn got me the I20 for NPU but also helped me get visa with confidence as i garnered it through their persistent and effective visa interviews attentiveness towards candidates and full and whole concentration in the work makes sowrya not only ONE of the best consultancies but THE BEST. Am happy with the consultancy how they guided me the selection of universities based on my scores..provided the guidance in the right way a student want to have for getting an admission from universities in us...they boosted my skills by providing mock interviews for getting my visa with 100% guidance...the assurance they provided is fantastic nd i hope every student who are applying through this consultancy reach their goals..Thanking you sowrya and the counselors. some delay process, but i got the usa visa Bridgeport university, only application delay 1 week, and then totally was very good,expecially mock interview is very very nice...i can't believe this.i apply for 6 universities..All admits are coming, freinds i refer this consultancy, genuine guidence.very nice...i can't belive this.i apply for 6 universities...All admits are coming, freinds i refer this consultancy, genuine guidance. Best Consultancy for Canada process. Very helpful in Visa processing. Guided me in getting my visa within the time. Thanks to the whole team of Sowrya Consultancy. They also gave me a list of all the documents that were required during the admissions process and later Sowrya Consultancy took special care to explain every critical point related to the universities and the courses they offered. I also got sample tips with regards to the visa interview. My admission to Lawrence Technological University and my visa approval (16/03/2016) are proof enough of the brilliant services that Sowrya Consultancy offers. Sowrya Consultancy is a platform which helps in accomplishing the dreams of studying abroad. Its is the best study abroad consultant in Guntur. 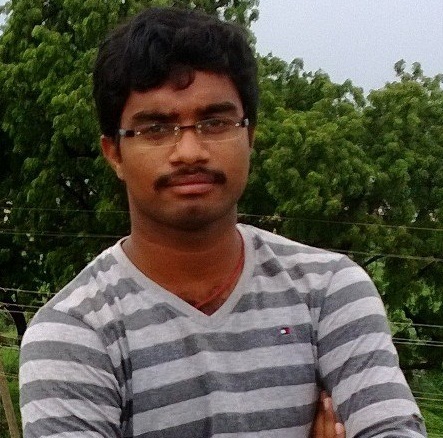 I completed my school from Guntur and then I was looking to go to abroad for higher studies. My friend suggested me to go through Sowrya Consultancy and I would like to really thanks Sowrya Consultancy. It is really a good consultancy for overseas education. Thank you Sowrya Consultancy for the excellent training provided. I scored 7.5 bands in IELTS more than required for university admission. Sowrya consultancy is one of the top consultancy which I met through my friend advice. Thank you counselors... Sowrya consultancy provides excellent service related to higher education overseas travel. I was always impressed with their responsiveness, consistency, attention to detail, approach ability and service. Thank you sowrya for your constant help and support... Once again thank you.. The best consultancy in Hyderabad for students who are planning for pursuing their higher studies in abroad. My experience here is extraordinary and fully satisfied. All the faculty here are very helpful and guide you in proper way. I recommend all the students who have a dream for doing higher studies to step in Sowrya Consultancy right now and fulfill their dreams. I recommend all the students who have a dream for doing higher studies to step in Sowrya Consultancy right now and fulfill their dreams. Special thanks to Sowrya Consultancy for my journey towards Australia permanent residency visa. Their team is supportive in nature, professional approach, clear cut documentation process and follow ups helped me a lot. Thank you guys for always being ahead in the game than me. Frankly speaking, this is the best Australian permanent consultancy anyone can get. I want to say thanks once again to Sowrya Consultancy team for their excellent work. I am grateful to the staff and their all time supportive, hardworking for a lot of things. They are the best study abroad consultancy for Indian students. I loved the experience at Sowrya Consultancy as they provided to the point information and details for my visa and made sure that I have the highest chances of approval. Their service was prompt and smooth. My visa is approved through Sowrya Consultancy and I would say that it was the best experience ever I had with any institution. My counselor that she did not felt annoyed whenever I called her to ask anything or even for silly things. Thanks to Sowrya. My experience with Sowrya Consultancy was very good and comfortable. Counselors gave me ideas about the universities and application procedure and that was quite informative. After that Sowrya helped me to get a UK visa without any hardship. Moreover, these people helped me throughout the application process, i.e. from starting application to landing here. Frankly, without your help, it would have been tedious. Thanking you. Sowrya has played a vital role in my admission procedures. They have given me the advice regarding every aspect right from which university I should apply to how should I talk during my visa interview. I am so happy with their services that this is the second time that I am using their services. Thanks to everyone at Sowrya. I am very glad to have such guidance from Sowrya regarding my US process.The councellor's were very interactive and they helped me a lot to get my visa. One of the good consultancies in guntur.Helps a lot in visa processing and applying to the universities. After a year of applying for MBA in US universities, I realized it is better to reach out to people who can support me in the process of getting an admit in top ranking universities in USA. After visiting almost every educational consulting organizations in hyderabad, I narrowed it down to sowrya overseas. I am truly happy to have taken this decision. My hard work has paid off as I have got admits with scholarship in 3 top universities.. Sowrya team deserves a lot of credit for it, The highlight of sowrya is that you get quick responses for your quires such as SOP preparation which actually speeds up the application process and guidance in VISApreparation. I wholeheartedly recommend aspiring student to sort the help of sowrya consultancy in their pursuit of higher education in abroad. I had a very wonderful experience at Sowrya Consultancy. By far the best Overseas Education consultants in Hyderabad. I did my application process through Sowrya Consultancy and I am very happy with the services they provided. They took complete care of the application process and made sure I got the university I wanted. A big thank you to their entire team. I had got an excellent support from the entire sowrya team. If any of my friends are interested in filing for PR visa for Australia or Canada then I will definitely recommend sowrya consultancy? Sowrya have been a great help throughout my immigration process to canada they recommended all the positive ways to make my canada pr journey a success.thanks to sowrya. Thanks to sowrya consultancy for helping me out in achieving visa for USA for my masters. Sowrya Counselors motivated me to plan for abroad studies (USA). Though i've got less scores with only IELTS 5.0 bands and no GRE. I am happy with the suggestions and guidance given constantly till getting my VISA. I was feeling very happy that to the share the experience which i had with sowrya consultancy.With the help of them i had succeed my dream.Thank you very much for assistance from them. I hope sowrya consultancy is the best for guiding abroad education.Thanks to sowrya consultancy and staff. Sowrya is a genuine consultancy.The mentors were very friendly and made me to get my visa. Thanks to Sowrya Consultancy for helping me through out the process of getting my Visa successfully .They have been very prompt and professional !! Was my great pleasure to join this institute because this institution gave me a perfect knowledge about the studies and universities. Great counseling!! Services are nice, thank you very much Sowrya Consultancy in Ameerpet. I wanted to study in Canada but had no means to the information except for the one available on the internet. 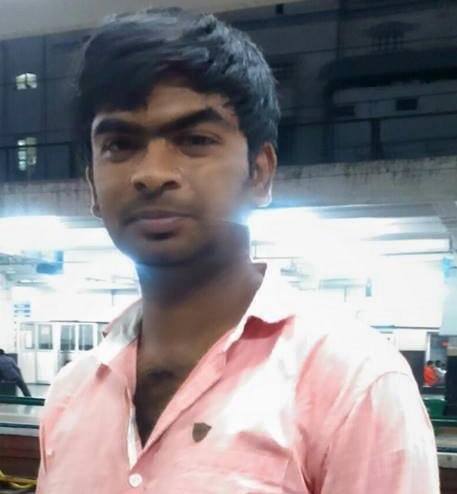 The Sowrya Consultancy in Ameerpet helped me to not only get my application accepted but also helped me write down a wonderful SOP that was even selected for a scholarship. The faculty is very experienced and teaching methods are incredibly enjoyable and I am very sure everybody who joins here will feel the same. Gre-302,ielts 7 bands...i i applyied 6 universities got 5 i20's,very speed proccess,friends go only sowrya better no time waste and giving full support,Thanks sowryaconsultancy for being the perfect help. Best consultancy in India for abroad. Really sowrya is best consultancy. I highly recommended it. I feel highly obliged and lucky that i got know about Sowrya Consultancy in Ameerpet and got the best opportunity of my life. It was a wonderful experience of mine with Sowrya Consultancy in Ameerpet, the staff was very helpful and the faculty over there is very experienced. Sowrya is an excellent consultancy with best staff.Here, the councellor's were very interactive and they prepared me well to get my visa.Finally, i got visa..Am very happy.. I came to the Sowrya Consultancy in Ameerpet when i was facing trouble with the visa process for my USA immigration for I had been selected at Columbia! And guess what within a small time the counsellors at this firm got me through! Thanks a lot! I would give a 5-star rating to sowrya Consultancy and will encourage all my friends and those who are reading this review to approach sowrya if you have plans to study aboard. It only due to the quality of service and the clarity of information in communication they have provided me. Since I was working aboard, I have visited just once to sowrya and all other processes were done through mail and telephonic conversation. I had some complications in processing, but with the instruction from radha madam and the sowrya team, I was able to sort out all the complication and was able to complete all the visa processes while being at work. It was all hassle free to such an extent that I could carry out my job and at the same time my visa processing to Australia was taking place smoothly. The selection of University depending on the course of my interest and location of the uni was also made easy by sowrya. They provided me with the assistance in each and every stage in one way or the other during the entire process, and I thank them for the immense support they have given. Moreover, finally, I am in Australia right now, doing Masters in Information and Communication Technology. The University and the place are all good. Thanks to sowrya Consultancy to making it happen. It was a very distinctive and truly invaluable learning experience with Sowrya Consultancy in Ameerpet.Iam very contented with the service and concern they gave me. Finally I have received my visa through sowrya consultancy, thanks a lot to helping me at every step. It was a great experience to get counselling from sowrya consultancy.. Staff is very helping, they encouraged me and guided in a right way. I got visa for australia......through sowrya consultancy...I felt very lucky. i am very thankful to the faculty of sowrya consultancy, staff is very nice . Which help me to clear ielts exam and i scored good rank...thanks again to sowrya. It was a great experience dealing with Sowrya Consultancy in Ameerpet for my visa requirements just because I got everything under one roof starting from currency exchange to my airline ticket and travel insurance. Extremely useful guidance provided by experienced and helpful staff of Sowrya Consultancy in Ameerpet. They will walk you through every step of applying abroad and you will definitely be better off with them by your side! Please visit Sowrya Consultancy in Ameerpet for reliable quick immigration service. I really appreciate efforts of their staff. They will assist you on every step. Good guidance and prompt response whenever required !!!! Thanks to Sowrya for providing me all the support required for my successful visa approval for Masters in US. Sowrya consultants provide an in depth and accurate information about the universities so that we can get an idea about the abroad studies and universities over there. Good Sowrya Services. Sowrya consultancy is one of the best consultancy i have ever seen.They guided me towards the success.I got maximum admits.The mock interviews conducted by them are really awesome.Thank you so much to Sowrya Consultancy. Sowrya is a best consultancy for higher studies in abroad.I got my usa visa through sowrya.Thank you. I got my VISA with support of Sowrya Consultancy. In Sowrya Consultancy with provide excellent guidance and coaching for IELTS and GRE. Finally thank you for Sowrya Team. Thank you very much for the sowrya consultancy team. they assisted me so much and i have got my visa. due to their brilliant visa documentation. I would like to thank you sowrya consultancy, for making my visa process easy, for go to Canada.You have helped me in all the way. I have no words to explain the professionalism of you guys. I am thankful to the sowrya consultancy for helping me get my visa in Canada well in time.Thanks to sowrya. I got my visa through sowrya consultancy.I personally loved their services.They guided me in a best way. Thanks to sowrya. Thank you for advising my admission cycle and country selection. I have had a great experience with Sowrya, I hope Sowrya will show case the good work in future as well. Feeling happy.My visa is approved. Thanks to sowrya very professional, dedicated team and reasonable and right guidance. I have received my visa through sowrya consultancy, thanks a lot to helping me at every step. It was a great experience to get counselling from sowrya consultancy.. Staff is very helping, they encouraged me and guided in a right way. Sowrya Consultancy is a professional consultants and their services are very good. Thank you very much Sowrya Consultancy team. I got my visa for Australia. This is one of the best consultancy I can say, they guided me choosing the right university and helped me to get my visa. If you want your student visa this is the place. Thank you sowrya. Sowrya consultancy is one of the best consultancy in Hyderabad. Right from the application process till visa approval sowrya consultancy guided me. I am very much satisfied with the service. Good consultancy, good guidance and response from the staff in every process from applying to universities to getting visa. I joined Sowrya Consultancy in order to take coaching for IELTS. The faculty was excellent in teaching and the classroom environment was very good. It also provides you with laboratory and finally I scored 7 bands in IELTS. The material provided by them was very helpful. Hence, I recommend other students to join Sowrya Consultancy. If you want to study in Australia then I would recommend you that sowrya is the best agent. They have been in helping students for many years. 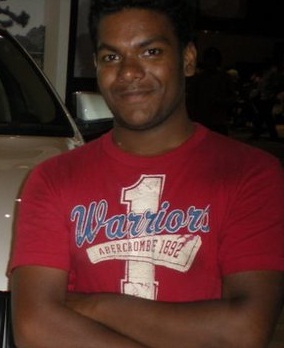 Even my brother had gone through sowrya to go Australia. They are very efficient and the counselors have very good knowledge about every university that they are dealing with! They help you to find the course you are looking for. They also are well versed with the formalities. Sowrya consultancy helps you in every process that needs to be done by giving you the right information at the right time. I will suggest my friends to apply through sowrya only. I choose sowrya consultancy for filing my visa.. They assisted me to get my Educational Assessment done from Canada. They helped me in booking IELTS slot and also helped in my IELTS preparation. Sowrya consultancy were very clear on what they were doing. I could not have completed the process as perfectly and professionally as they did. They did the documentation part very well and got it verified by me twice before sending it off to Canada. Now I have already got my file number and sowrya consultancy is still supporting me. Hi,This is charan, I secured a score of 305 in my GRE, this was mainly due to the coaching i received at sowrya consulatancy. The rigorous training given by the faculty of SOWRYA especially by faculty of Quantitative Reasoning help me secure this score. I am very much Thankful to them.I strongly recommend others students to join in SOWRYA consulatancy. Of all the places I had visited for Sowrya Consultancy in Ameerpet, the people at Sowrya Consultancy in Ameerpet are the most helpful and the friendliest. They helped me at every step of the application procedure. 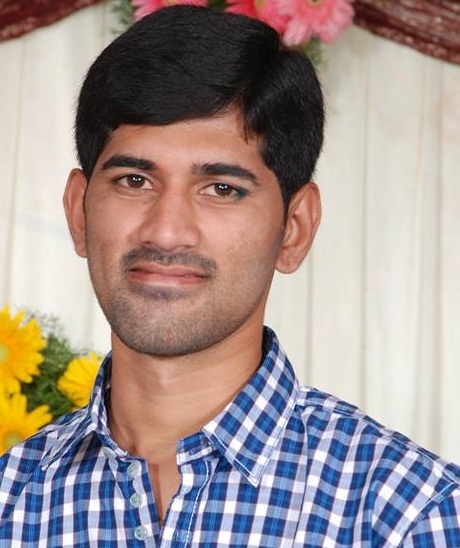 I had a very great experience with Sowrya Consultancy in Ameerpet, They helped me a lot in all the processes for abroad study like document preparation, visa application etc.Sowrya Consultancy in Ameerpet is very good international education consultant in India, I am very pleased with their services. I am grateful to the Sowrya Consultancy in Ameerpet and their all time supportive, hardworking staff for a lot of things. They are the best study abroad consultancy for Indian students. I would like to thank Sowrya Consultancy in Ameerpet for helping me to build my confidence. Thanks for helping me to prepare for my visa interview. Especially I thank teachers for answering all my doubts and queries. It’s been a really nice experience through out the process. The staffs are friendly. My counseller was really very helpful & is very friendly. Thanks for the great service & I wish u guys a very successful future. I strongly suggest Western sowrya is the best and good consultancy for the students who are planning for higher studies. Excellent.Had a great experience with sowrya overseas education. Receiving of students is nice.Mock interviews are helpful for visa interview. Its just amazing. Thank you very much for helping me with the higher education process. I would defnitley recommend my friends for the training and processing at sowrya consultancy. Thank you once again. Sowrya consultancy is the best place to prepare Visa Interview.If you have fear how to face Visa Interview then go to Sowrya consultancy. You will get confidence. I was glad to inform that i've received a very good response from Sowrya Team. They have responded well for all of my queries,guided for my better career growth. I've received my Canada PR through Sowrya. I found Sowrya Overseas great. I was been thrilled with knowledge the counselors explained about the courses with it specializations. I have visited many consultants, I found sowrya Overseas is the best. I have seen so many students availing visas through them. Great work Sowrya!. I had a very wonderful experience at Sowrya Consultancy. By far the best Overseas Education consultants in Vijayawada. the councelors were very interactive and the response is pretty good.the way they guided me was very good. thanks a lot to my mentor who helped me in my visa process. the way you guided me memorable and it was my first success in my academic career as an undergraduate to fulfil my life time dream. i am very much glad to be part of of sowrya consultancy for giving me a great assistance while selecting universities and documentation. thanks to my counselors. thnk u once again !!!!! I got NZ (N-tec Auckland) visa with the help of Sowrya Consultancy. The way counsellor’s deal with Process, documentation is very excellent. All the counsellors are well experienced. Please visit Sowrya Consultancy (Ameerpet) for New Zealand process. Got visa for New Zealand(RBC), through Sowrya Consultancy. They guided me form the beginning(Admission Letter) till end(VISA). Felling very happy with Sowya Consultancy. I am very happy by the services provided by Sowrya Consultancy. I got visa University of Central Missouri.I am happy to be at my dream destination with the support of Sowrya. They are friendly, very caring and really supportive. hi everyone, I am very much happy and delighted today as i got visa for Australia for university of southern queensland without ielts. I am very much thankful to sowrya consultancy in this regard to help me out in each and every step with patience and leaded me to success. I recommend each and every one to sowrya consultancy those who have dreams for abroad studies.